For many people, real estate is the most stressful and important investment you’ll ever make. For this reason, it’s critical that you have the support of an experienced real estate professional when buying or selling a home. In Real Estate Game Changers Volume 3, we’ve invited six Real Estate professionals from across the United States to share their advice to help you understand the ever-evolving real estate landscape. 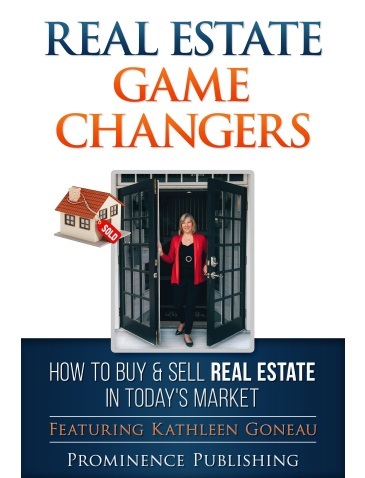 What is a Real Estate Game Changer? While just about anyone can get their real estate license and become a real estate agent, there is much more to it than just writing up an agreement and placing a sign on a front lawn. Engaging and entertaining, you will see each Realtor’s personality shine through in every chapter. We hope you can learn a thing or two, and above all, see why we think these Realtors are Real Estate Game Changers. Click here to read Kathleen’s Chapter!